Did you come from a generation when museum school field trips sounded boring, serious, creepy, old and strict? I did! I didn't get excited when our field trip itinerary included a trip to the museum because I felt like I had to restrict my movements, behave stiffly and listen to lifeless tour guides. I'm glad my kids don't have to go through that because of the existence of a number of modern museums which encourages children to touch, experience and learn while having fun at the exhibits. 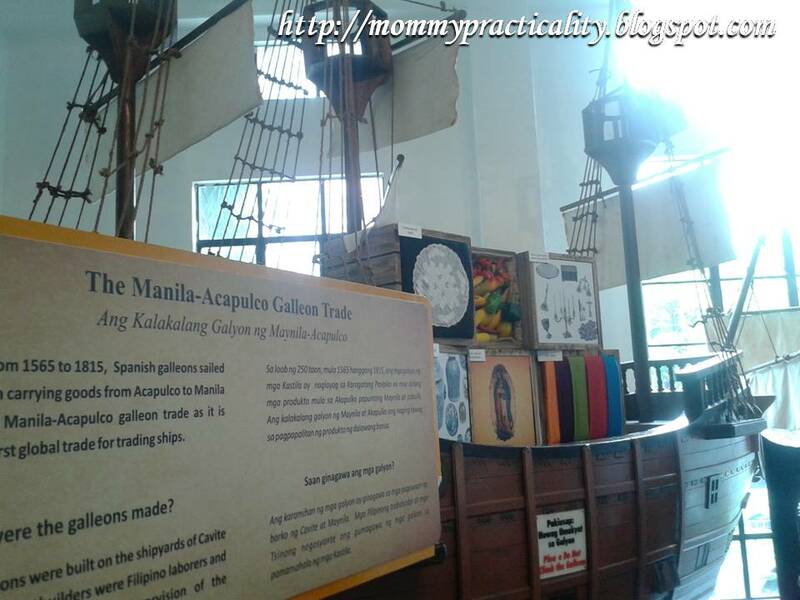 Museo Pambata is an example of an experiential and interactive museum which we truly appreciated. As if we rode the time machine, we were taken back to the time of Jose Rizal. One will see replicas of influences of the Chinese and structures built during the Spanish Colony such as the Galleon Trade, Binondo Church, Meralco Tranvia and Bahay na Bato (Old Stone House). My kids got to experience the different musical instruments and see dolls in national costumes. Posted on the wall of the other side of the room, were the enumerated child rights. My eldest connected easily because they studied these rights in their Sibika At Kultura subject. Here's my bunso playing his kind of music: bang, bang, bang! This well-lit room teaches kids the importance of Mother Earth and how to take care of her. It also explains environmental issues and encouraging the young to take action. Take a tour through our different body organs which teaches kids how each function harmoniously. "Mommy look! An X-Ray film!" Remember the time when you were younger and used to play dress-up or role-play as a vendor or a barber? This area is an actuality of that fantasy! I personally loved this area because I enjoyed seeing kids play the role of a baker, a sales lady or shoemaker. My kids loved it too! You'll find this at the second floor of Museo Pambata. You might miss the Pasalubong shop because it's located at the end of the Pamilihang Bayan exhibit at the second floor. Children's crafts, shirts, old-Pinoy toys (turumpo and tirador), and other novelty items are for sale. At the ground floor you will see the Children's library where a lot of books wait for a child to pick and read them. The room is air-conditioned so story-reading with your kids can be comfortable. Nowadays, our children who are considered Digital Natives, are more into computer games or game consoles. The physical and social component is slowly losing to the world wide web. Everything now is instant, fast and they are always in a hurry. Taking our kids once in a while in an educational venue such as Museo Pambata could teach them the value of real physical play, of learning through experience and of appreciating the beauty that surrounds us. I definitely enjoyed as much as my kids did. As an adult, would you want to reminisce your childhood days of make-believe through play? Then come to Museo Pambata and be a kid all over again! 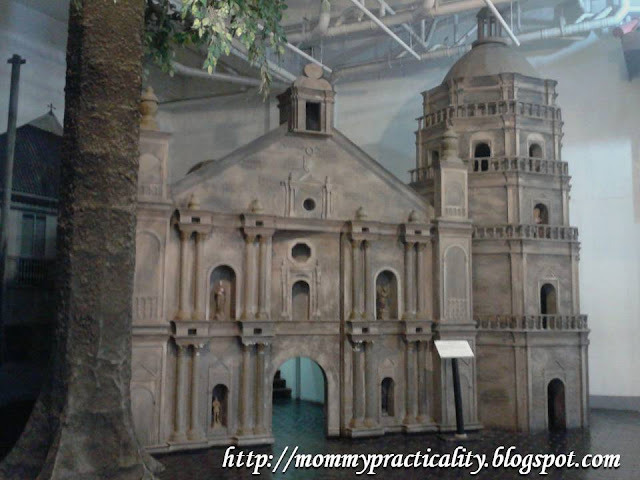 I have been to museo pambata in college but I have already forgotten what it looked like. Thanks for this post! I can't remember the first and last time I visited the place. I hope I can visit again with my kids soon. We must have been born in the same era! I dreaded museum trips also when I was young. :D We haven't taken our kids yet to Museo Pambata but we frequent another interactive museum that's near our place, the Philippine Science Centrum. It's like a big educational playground there. I remembered being here last time when my daughter had her field trip in school. :) It was fun. I love traveling to museums. :D All those interesting things you can find will make you realize that you still have a lot of things to know. I haven't been at Museo Pambata yet. I'm so bringing my child there soon because of your post. It looks so much fun! I love the photo where your son was dressed up like a farmer. Super cute! I don't remember if I went here as a child. The ones I remember involve trips to other Museums, planetarium and the army base near CCP. I plan to do this with my future kids too - going on field trips - I want them to learn through experience. Since I will most likely raise my kids here in Manila. I'm afraid they will grow up addicted to the TV, gadgets, toy stores, malls and the like. Hi Jen! Yup I had fun myself too! I didn't post anymore the picture where he wore a costume during the time of Spanish colony. :) Thanks for visiting! Hi Lady. That was my fear too at first. But by instilling discipline and scheduling their TV/gadget time, they will learn the importance pa rin of real play with kids and toys. :) Thanks for visiting.